Tauranga is an outdoor gallery, packed with stunning street art created by well-known local and international street artists. And there is more – think public art, sculpture and pottery locations, Maori art, art galleries, studios and organisations. Save the art lovers map to your mobile phone and off you go. It includes locations across Tauranga, including Mount Maunganui, you can either walk, cycle or drive to. 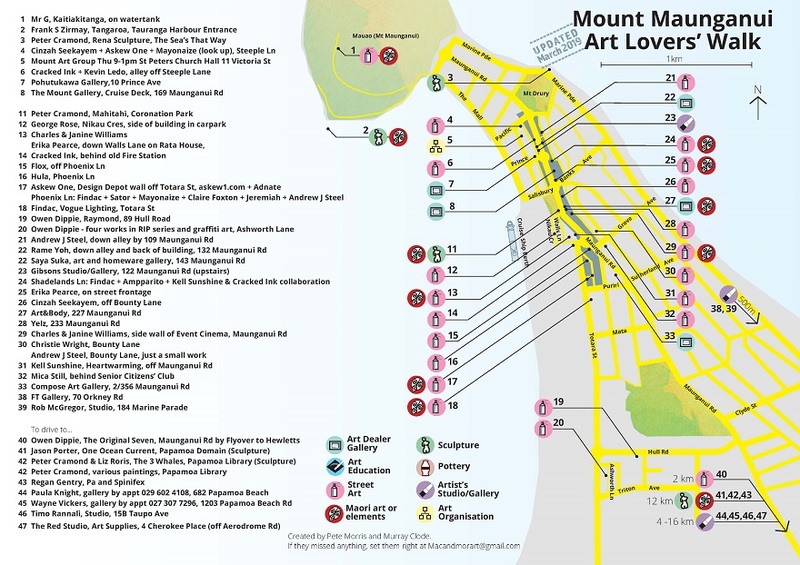 The art map is a collaboration between Pete Morris of Te Kiteroa Gallery and Murray Clode of Macandmor Art Space. It promotes the visual arts and many of the creative people who live locally, who add zest and contribute to the local economy through their artistic endeavours.